ARE Solutions handles commercial and residential property tax appeals on a contingency basis; the only up front cost to the owner is a $25 fee per parcel to cover petition filing expenses. Filing fees can be paid using a credit card through PayPal using the button above — you do not need a PayPal account to pay by credit card. Or you can mail a check to the address below made out to ARE Solutions. If the appeal is successful, ARE Solutions is paid 33% of the property tax savings for a one year period. Please call or email to request a copy of the agreement if you do not have one. Get started with lowering your property taxes today. 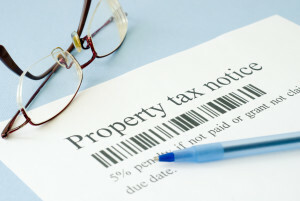 ARE Solutions Property Tax Consulting Services handles property tax appeals from start to finish. Our process has four different components: property tax review, appeal filing, evidence preparation and exchange and representation at hearing. The appeal time frame will depend on the county that the property is located in. ARE Solutions Property Tax Consulting Services has a paperless process that allows us to draw upon the information we need across a large territory to get the maximum assessment reductions for our clients.